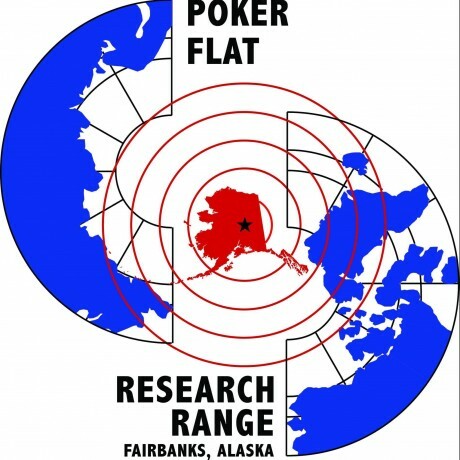 The Poker Flat Research Range had its 50th Anniversary party over the weekend, and Fairbanks residents showed up in droves to celebrate. I think it is safe to say that Fairbanks is quite proud of its far-north launch facility. I was amazed at how many people came out for the event. 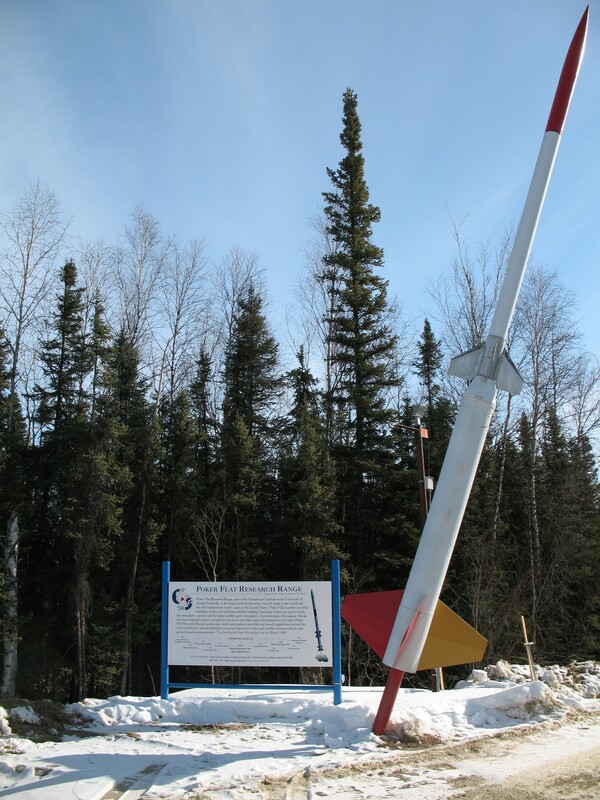 Owned by the University of Alaska-Fairbanks Geophysical Institute, Poker Flat is the world’s largest land-based rocket range. The 5132 acre site is located 30 miles from Fairbanks, just north of Chatanika, on the Steese Highway, where Poker Creek flows into the Chatanika River. More than 300 major, high altitude rockets and 1800 meteorological rockets have been launched from Poker Flat to study the Earth’s atmosphere, and the interaction between that atmosphere and the space environment. 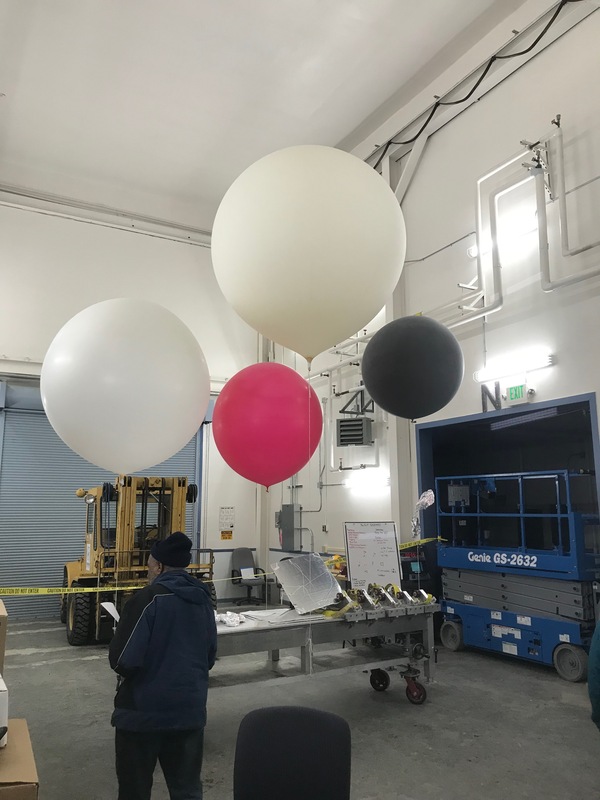 The rockets launched are sounding rockets, which are designed to operate between the height that a weather ballon can reach, yet below satellites. Sounding rockets are relatively low cost, with a quick lead time, which is advantageous in the world of research. 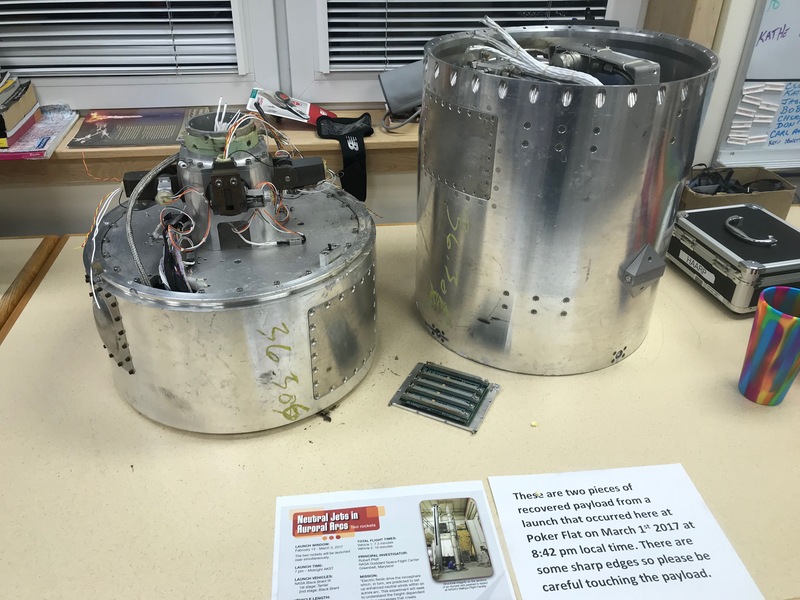 NASA, Wallops Flight Facility, the Department of Defense, and many universities world-wide, have launched rockets from Poker Flat. One busy week at Poker Flat had four launches in 33 minutes during a night with high aurora activity. One mission saw two rockets launched to measure the turbulence in the upper atmosphere: was it two dimensional or three? Also measured were air density along the rocket’s parabola, which had an apex of 100 miles above northern Alaska. Also measured was the lowest reaches of where the aurora interacts with the upper atmosphere. On the same night, two rockets from Clemson University launched. These rockets released a white vapor, trimethyl aluminum, so that researchers could visualize the turbulence 60 miles above the ground. 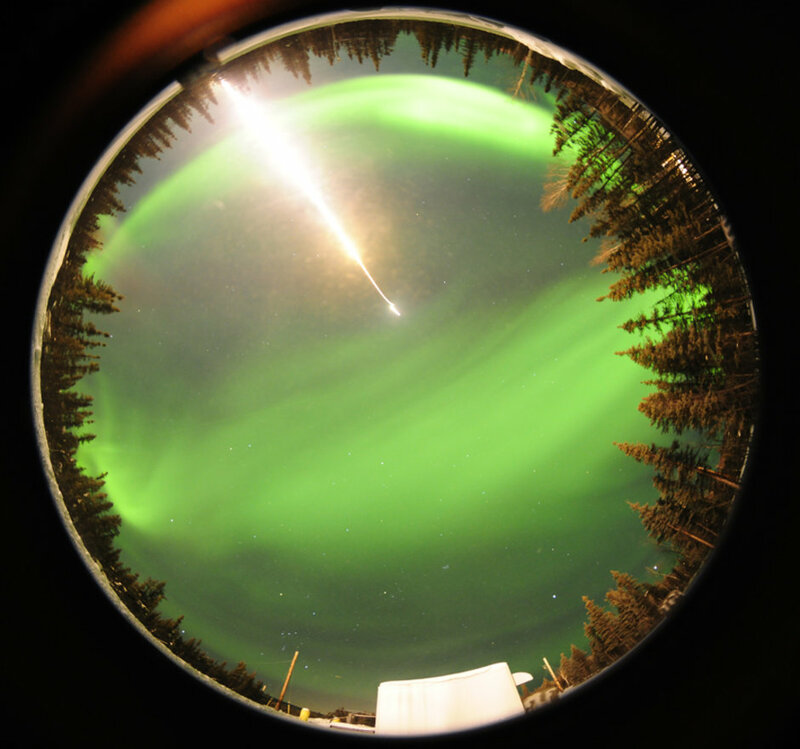 Not to be outdone, two nights later, a rocket launched for Utah State that released instruments to measure the voltages and currents in the aurora display over Kaktovik, Alaska. I’m glad I arrived early, because I think turn out was greater than expected. After visiting the main offices, I walked down to where the shuttle busses were hauling people to the various sites. Poker Flat is fairly spread out, plus there was a cow moose and a calf wandering about, and officials seemed wary that someone could get stomped. Weather balloons were launched every 15 minutes or so, which I watched while waiting for a shuttle. Turns out there is an advantage to attending things like this solo. A University police officer offered rides to the upper facilities, and he had room for three. The first couple climbed in, and I seemed to be the only single paying attention, so I volunteered to climb in the back of the squad SUV. The facility is really quite impressive. 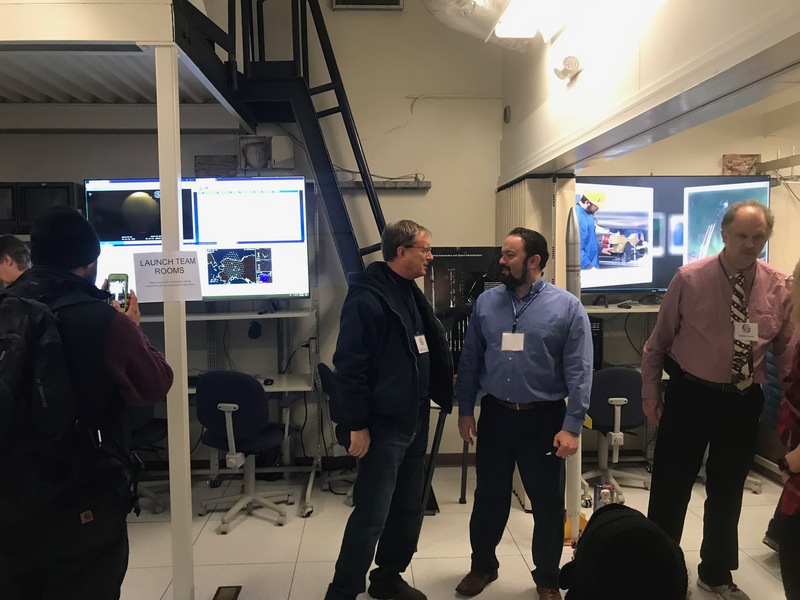 I was able to talk to several NASA scientists, as well as some Poker Flat “rocketeers”. Everything was available to view, from the radar screens to the “catwalk” outside, and the green lidar beam, which is part laser and part radar, and is shot 50 miles into the sky. There wasn’t one person involved with the sounding rockets, that didn’t get excited talking about what they did, or what they had planned for next year. The representative from Wallops told me they were excited now to get down under to Australia to launch rockets next. 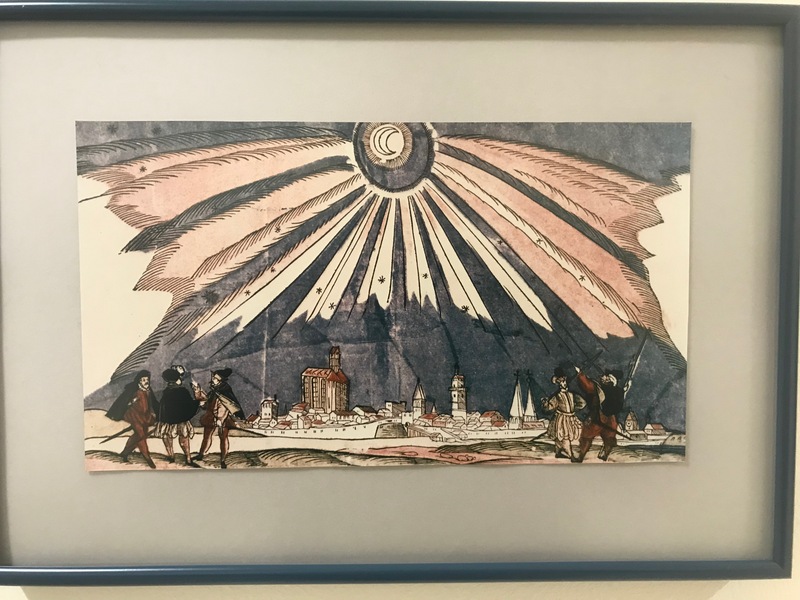 It will be their winter soon, and they had some rockets designed that would open in the back with telescopes to get images of the southern sky. The earliest written record of an auroral display was from 567 BC on a Babylonian clay tablet. The tablet describes a “red glow in the sky” lasting two hours. The red aurora was often thought of as an evil omen in medieval times. Nearly all northern native cultures associate the aurora with spirits of the dead. 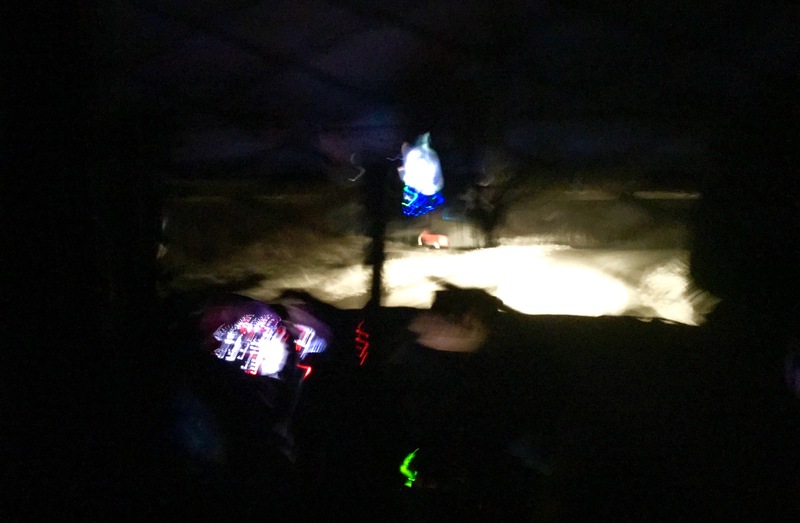 The view from a very bouncy squad SUV. The ride is not as comfortable as one might think. The peak season for launches at Poker Flat is between January and March. Most often launches occur when the aurora is going, and the moon is down. Cleary Summit is a great place to watch and/or film a rocket launch. Poker Flat also streams launches live on its youtube channel. NASA’s Opportunity Mars Rover was designed to operate for just 90 days, but it ran on for 15 years. NASA officially declared Opportunity dead on Wednesday, after trying to wake up the little rover one final time. Opportunity has been silent since June 10 of last year, when a massive Martian dust storm engulfed Opportunity. The dust storm overtook the entire planet 10 days later, and that would have prevented the rover from using its solar panels to recharge its batteries. The final message from Opportunity to NASA was “My battery is low and it’s getting dark.” Rest in peace, Opportunity. 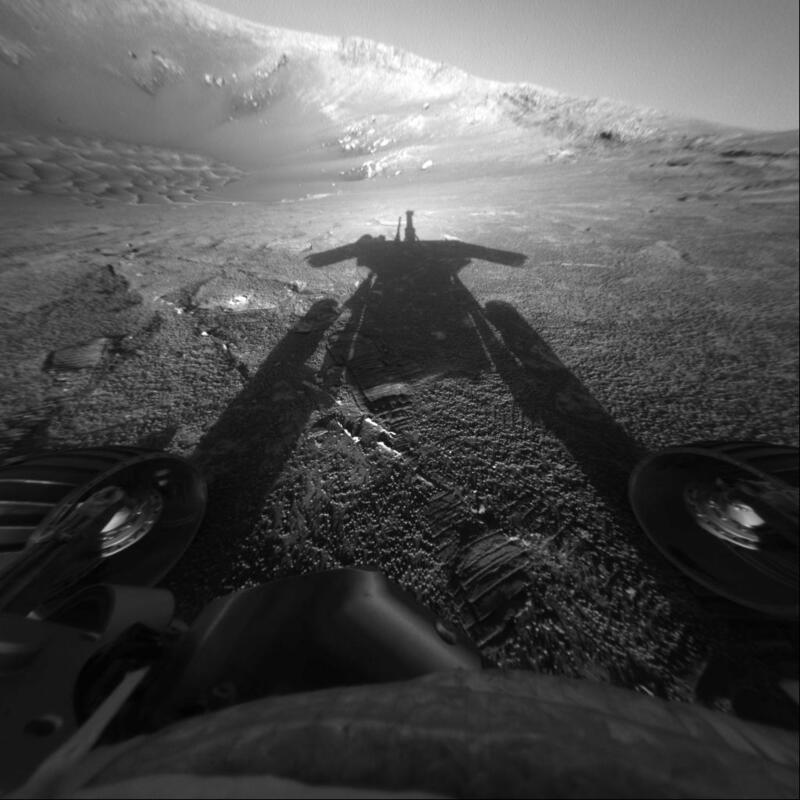 NASA’s final wake up call to Opportunity was Billie Holiday’s “I’ll be seeing you”. 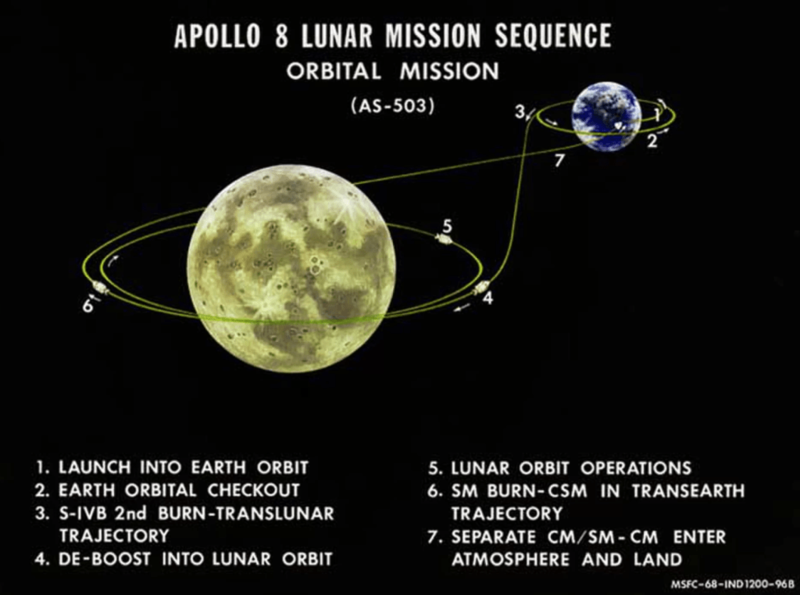 It was the 50th Anniversary of the Apollo 8 Mission on December 21. The 21st was also the Winter Solstice, and when you live in the Far North, that observance takes precedence over most anniversaries. We did gain just over 4 minutes of daylight today from yesterday, in case anyone was wondering. 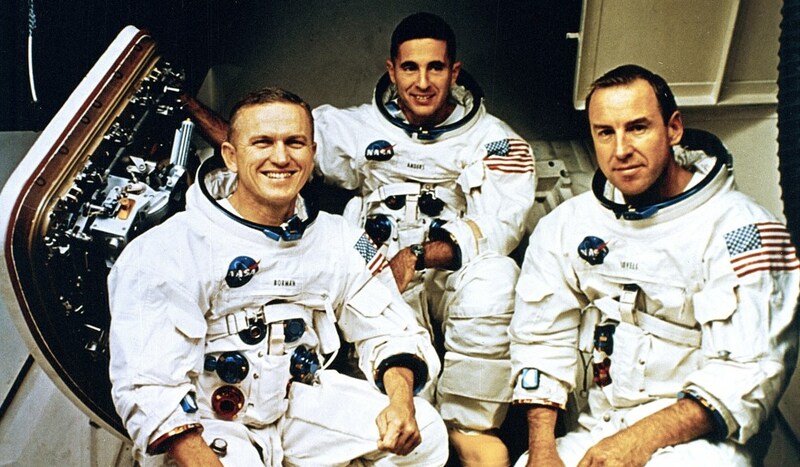 Still, Apollo 8 was a big deal, no offense to Steph Curry. It was the first manned spacecraft to leave the Earth’s orbit, travel to the moon, orbit the moon, and then safely return. Without this mission, the moon landing could never have occurred. It was the first crew launched on the Saturn V rocket, for a mission that would take just over 6 days. 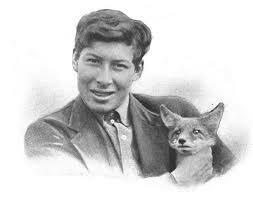 In fact, it took 68 hours just to travel the distance to the moon, before orbiting our celestial companion 10 times. 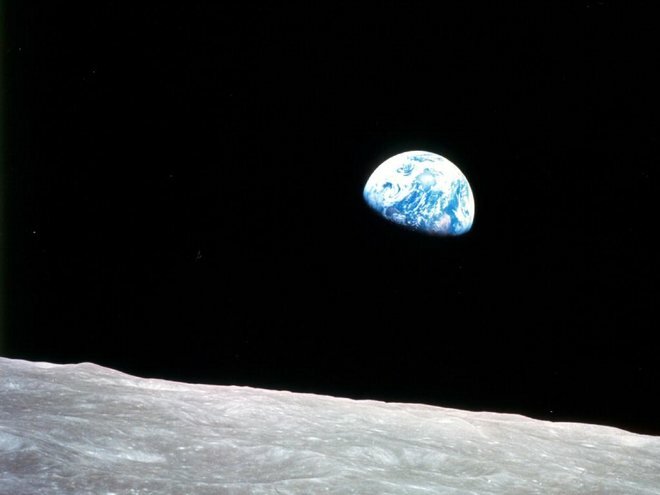 With everything that Apollo 8 accomplished, I think William Anders’ photo of the Earth rising above the surface of the moon, was the mission’s greatest gift to mankind. The photo was taken on Christmas Eve, 1968. For the first time, one of our own, had taken a picture looking back at our home. There, against the blackness of space, was our blue-marbled planet, looking beautiful and fragile. National Geographic photographer, Brian Skerry compared the image to “humanity seeing itself in the mirror for the first time”. The New Horizons spacecraft recently observed the most distant object yet from Earth. Launched on 19 January 2006, New Horizons has explored a lot of our solar system, raising the stakes with a flyby of Pluto in July 2015. Now, just over three years later, the spacecraft, that is about the size of a minivan, did a flyby of Ultima Thule over New Years. Ultima Thule, which is Latin for “beyond the borders of the known world”, is a trans-Neptunian object in The Kuiper Belt. It is a contact binary, which is two small bodies stuck together. 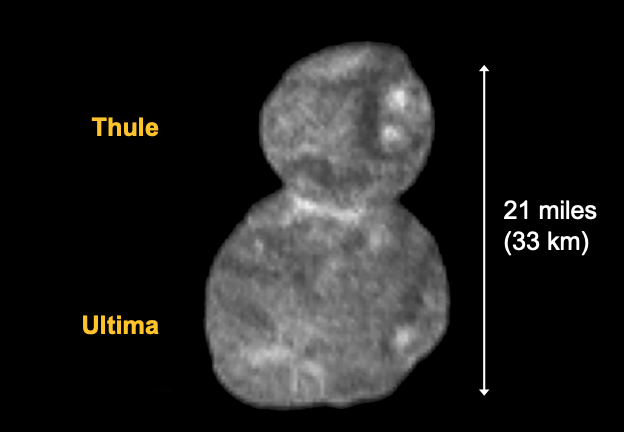 The larger body of Ultima is three times the volume of Thule. 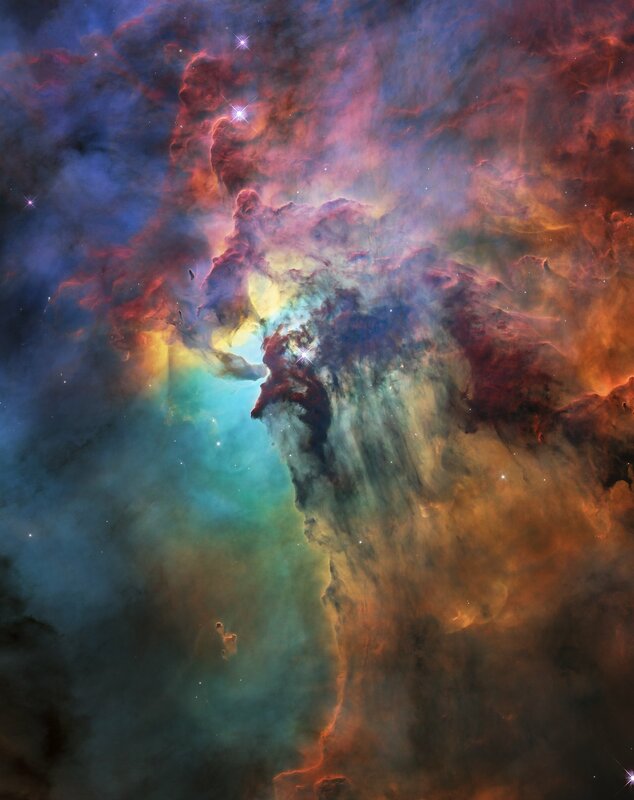 It was discovered in 2014 by astronomers using the Hubble Space Telescope. Ultima is 1.5 billion kms further out than Pluto, and takes just under 300 years to orbit the sun. 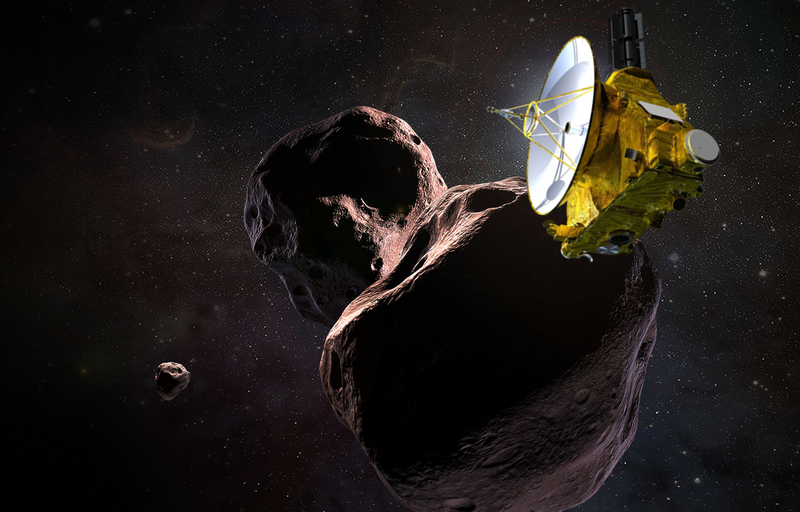 As of January 1, New Horizons was 6.5 billion kms from Earth and passed within 3500 kms of Ultima Thule during the flyby. It takes six hours for radio signals to reach Earth from the spacecraft, and it will take 20 months for all data from the flyby to make it back to Earth. Operation Ice Bridge is a NASA mission to monitor the changes in polar ice. The program was started in 2003. 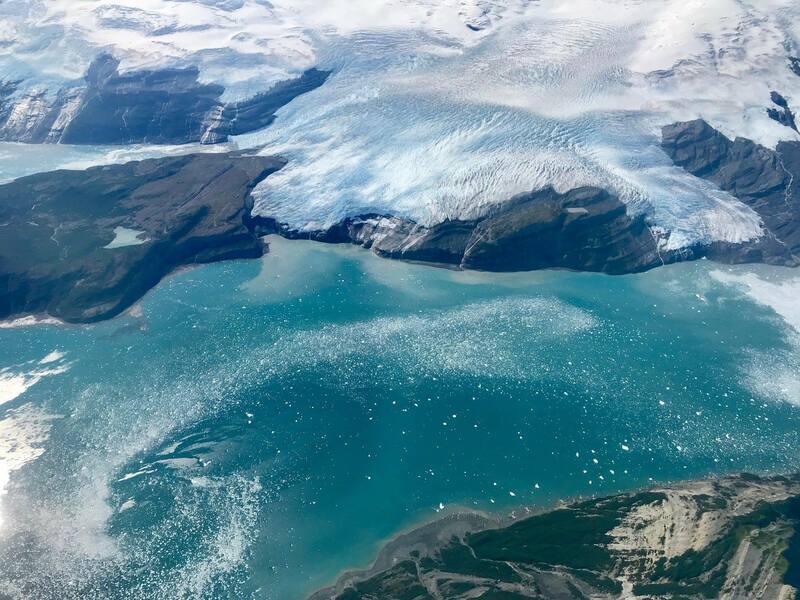 Here are some photos that NASA took during their time over Alaska. 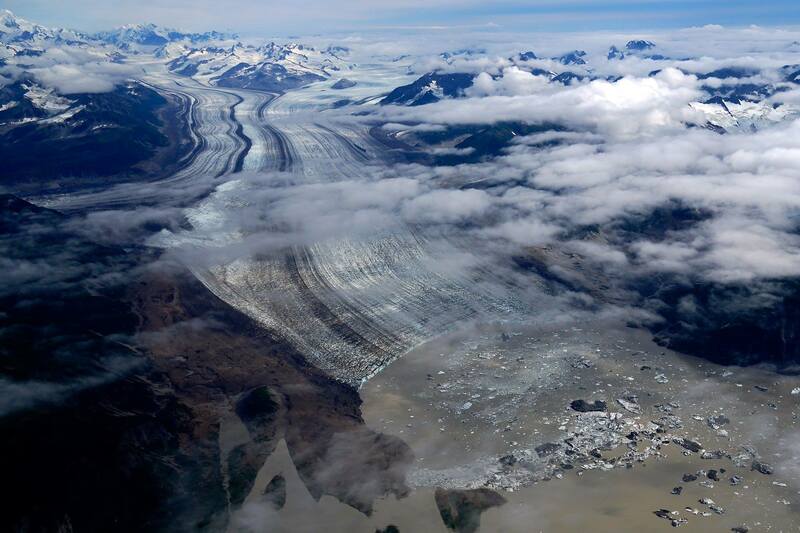 Miles Glacier, near Cordova, Alaska. Cordova’s “Million Dollar Bridge”, was officially known as “The Miles Glacier Bridge”. 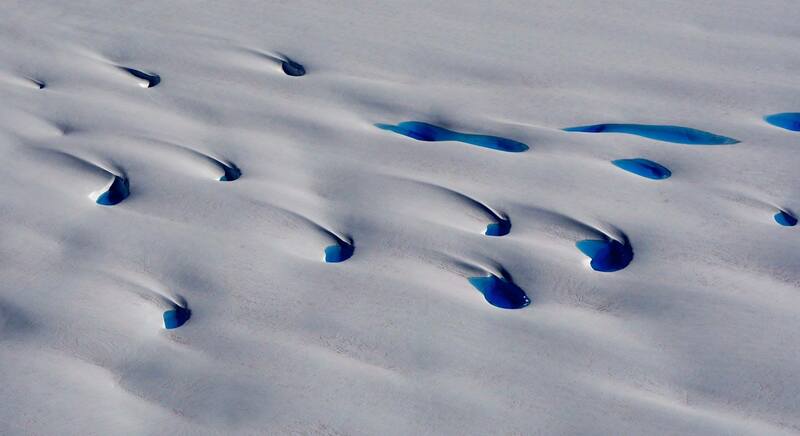 The glacier terminates at Miles Lake, which has formed in the past 100 years. Icy Bay in the Wrangell-St Elias Wilderness, Alaska. A century ago, the body of water was covered in glacial ice. 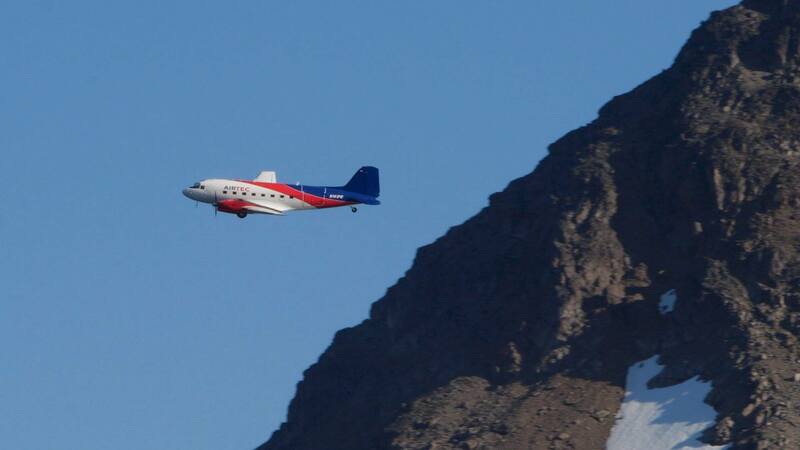 A refurbished DC-3 takes off from Kulusuk, Greenland on a survey of Eastern Greenland. I just think it’s incredibly cool that they are flying a DC-3. It was 30 years ago today, when the Challenger space shuttle exploded 73 seconds into it’s flight over the Kennedy Space Center. 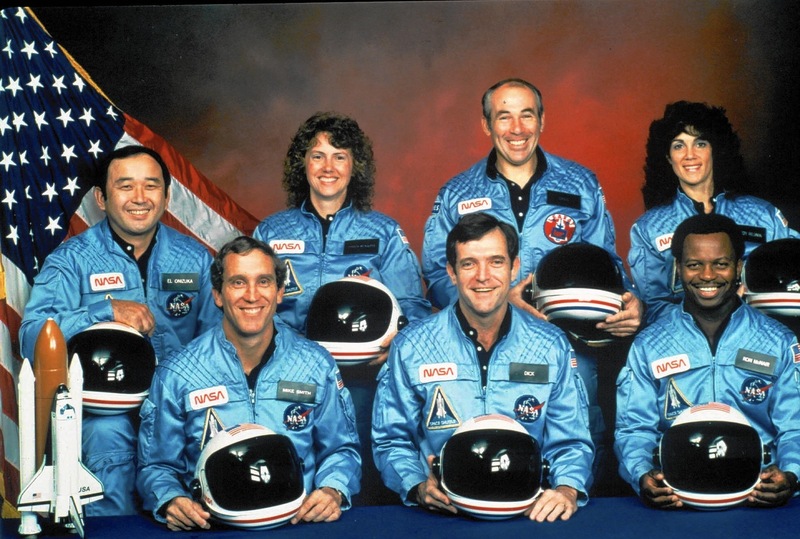 All seven U.S. astronauts on board died. 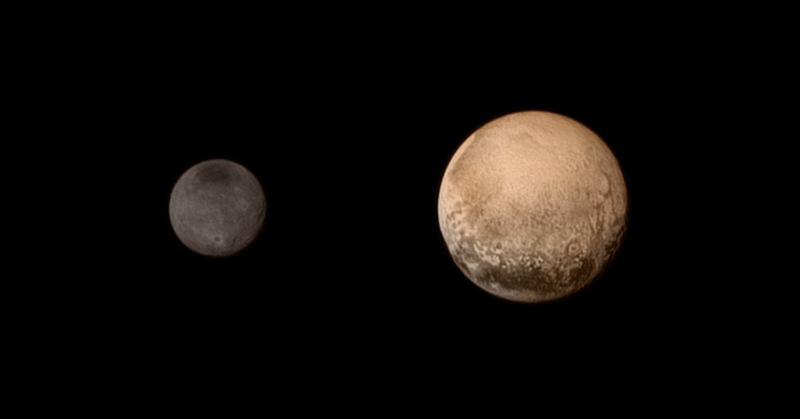 After 9 years and 3 billion miles, New Horizons is now less than a million miles from Pluto. Tomorrow, the SUV-sized space probe will perform its Pluto flyby at 7800 miles from the surface of the former planet.